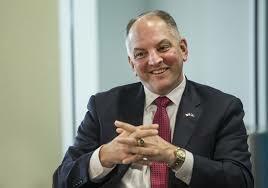 Happy Who Dat Day, people. Or happy what shall henceforth be known as Drew Brees Day, right after he throws for 201 yards later on and breaks the all-time passing yards record. Think about that. A quarterback for the New Orleans Saints will most likely go down as, statistically, the greatest quarterback of all time. Passing yards record, record for most 5000-yard seasons, at one time the record for consecutive games with a touchdown, all while never completing less than 64% of his passes. That’s insane. But enough about Brees. We know he’s great. What about this Saints team? Who are they at the quarter mark? Record-wise, they’re 3-1, just as yours truly predicted. But this team is a mystery defensively (as in what the hell happened to the defense?). Through four games, the offense has been the offense, chugging along efficiently putting up 34 points and 418 yards a game. Unfortunately, the defense has been terrible. Teams are averaging 390 yards and 30 points a game. Horrible coverage and a lack of pass rush aside, it seems the Saints messed up their defensive chemistry from last season by shuffling the lineup and bringing in free agents that haven’t made plays consistently. At linebacker, they brought in Demario Davis and made Alex Anzalone a starter. All that’s done is cause the linebackers to be less physical and instinctive, mainly because A.J. Klein is now playing out of position and Craig Robertson and Manti Te’o (before he got hurt) are on the bench. On the back end, the Saints rushed out and signed Kurt Coleman the day free agency started. He’s rewarded their confidence by making zero plays. If you can name one play he’s made, I’ll have Jeff give you a free Think 504 t-shirt. The one thing the defense has been able to do pretty well is hold up against the run, like tops in the league. 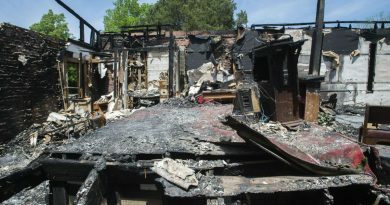 But otherwise, they’ve been awful. Enough of the bad news, though, let’s move on to some awards. Offense – this was a tough one. Brees has been awesome. He’s not only averaging 324 yards a game, but he’s thrown 8 touchdowns and 0 interceptions. And it’s not like he’s been shy with the ball either. Brees has put up 161 attempts. That’s 40 a game. And he’s completed 76% of them. Insane yes, but the offensive MVP has been Alvin Kamara. 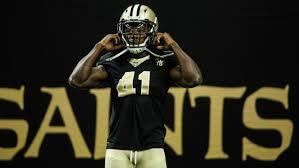 With Ingram out, Kamara has become every down back, the workhorse the team depends on. He’s averaging 69 yards rushing and 84 yards receiving. When you combine his rushing and receiving stats, he’s averaging 23 touches for 153 yards a game. He has 6 touchdowns (tied for 1st in the league). He has 5 plays of 20 yards or more, not including the 49 yarder he put the Giants away with. Gotta give it to Kamara so far. Defensive – The defense has sucked, but I guess we have to pick one. 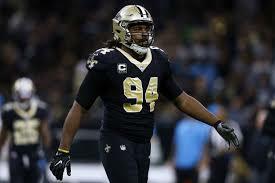 Cameron Jordan it is. Even though he’s surrounded by cornerbacks who can’t cover, safeties who can’t help over the top, and linebackers who rarely make tackles in the backfield, Jordan has been his usual self, somewhat. He has 4 sacks on the year, and 15 tackles. The sack total has him tied for 6th in the league. Nothing special, but considering the play around him, we might have to regard that as semi-spectacular. Time for a bit of controversy. If by the end of the 2nd quarter of the season (8 games), the Saints find themselves 6-2 but still suffering from Ken Crawley and P.J. Williams playing awful football, they should contact the 49ers about a trade – Teddy Bridgewater for Richard Sherman. The trade would work out for both teams. Both players have 1-year deals, and after this season, both players will probably be on different teams. Yes, I know some fans have dreams of Bridgewater being the heir apparent to Drew Brees, but unless Brees has told the team he’s retiring after his contract which technically expires at the end of next season, then it’d make no sense for Bridgewater to stay here. He’ll be an unrestricted free agent, which means he can take his burgeoning talents and geting a big paycheck and starting job elsewhere. As far as Sherman, the 49ers are rebuilding, so they won’t be throwing any long term or big money at him. Neither should the Saints. But after he comes back from his calf injury, he’ll be looking to prove his worth for a team that will. A hungry and healthy Sherman would be better than any version we’ve seen of Crawley or P.J. Williams so far. Looking ahead, here’s what’s up ahead next quarter for the Black n Gold: Redskins tonight, then Ravens, Vikings, and Rams. Ouch. You better get your hot tea and lozenges ready, people. Home or away, for theses next 4 games, I have a feeling they’re going to need all your throats have to offer. 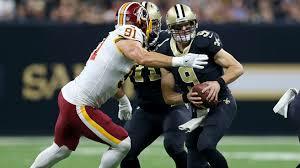 Prediction for tonight – Brees breaks the record and the Saints hold on 31-27 over the Skins. 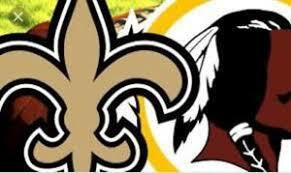 Who Dat!